Resiliency is a hot button word right now. Ten years ago, advocates focused on “adaptation,” or the idea of adapting to the coming effects of climate change. Now the focus is on “resiliency,” the ability to bounce forward – not backward – when something disastrous happens. 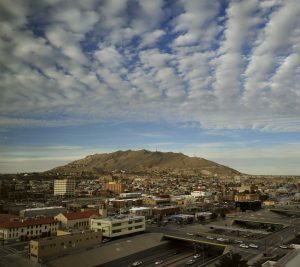 For El Paso, a city on the border between the U.S. and Mexico, resilience is critical. A huge city in the middle of the desert with an average rainfall around 8 inches per year, El Paso needs to be hardy, especially when it comes to water. El Paso Water Utility (EPWU) is on top of the problem, enacting programs and initiatives to ensure El Paso’s water resiliency. Unfortunately, El Paso Electric – the city’s electric utility – is not doing everything it can to use less water. To protect the city’s water, the utility should fully embrace no-water solar PV energy and not discourage customers from using solar power at their homes and businesses. El Paso has been a leader in water conservation for decades. For example, the city cut water demand by more than 40 percent – from a high of 225 gallons per person per day (gcpd) in the 1970s to 132 gcpd in 2013, seven years ahead of its target. How did El Paso do it? It changed the way city residents make decisions about and pay for water. In the late 1980s and early 1990s, the city unveiled a 50-year water resource plan, changed prices to conserve water, and started aggressive water conservation programs. Further, El Paso reuses about 15 percent of its water, much higher than the statewide average of 1 percent (although some cities, like San Antonio, are higher). After recently coming out of a severe, multi-year drought (along with the rest of the state), El Paso understands that if it doesn’t effectively manage its water, it won’t have a city to run at all. But there’s something missing in El Paso’s water equation: the connection between making electricity and water. While El Paso’s water utility is protecting this precious resource, the electric utility isn’t. El Paso is a very sunny city, averaging about 302 days of sunshine per year, which means a lot of solar energy potential. And solar PV uses no water to create electricity, as opposed to very thirsty traditional power resources like coal and natural gas. Moreover, findings from an Environmental Defense Fund project with the Texas National Guard found that National Guard installations in El Paso are at the top for both water stress and solar potential. Clearly, there is significant opportunity to ease water stress by increasing solar power in the area. Despite the opportunity to help save El Paso’s water by using solar power, El Paso Electric is blocking the growth of customer-owned solar power. The utility’s new proposal hits homes and small businesses that use solar panels with a higher monthly charge. As is the case with most cities and utilities, energy and water in El Paso tend to be viewed separately. Electric utilities are inclined to plan as though they will always have enough water and water utilities do the same with electricity. But if careful planning for water and energy is not undertaken, there won’t be enough of either to go around. El Paso should be taking every step needed to strengthen its water resilience, including making wise energy decisions. A resilient city facilitates coordination of resources and plans strategically for wise use throughout the entire system. 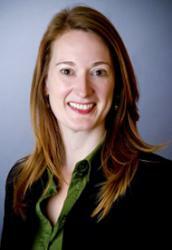 This entry was posted in Energy-Water Nexus, General, Texas. Bookmark the permalink. Both comments and trackbacks are currently closed. Kate, as in other areas around the U.S., utilities built expensive transmission infrastructure long ago on the premise they would function as regulated monopolies – there would be no competition to threaten their profitability after they had made a significant investment. Now, home solar owners want to use that infrastructure without paying the full cost of maintaining it – they want 24/7 access to it, but only want to pay while they’re actually using it. Business doesn’t work that way. For example: say you’re a gardener reknowned for her delicious tomatoes. Should you be allowed to take some to your local supermarket and set up shop in its produce section? Of course not – the store pays good money for maintenance, employees, parking etc. In fact, the store manager might well take offense you felt entitled to those benefits, and throw you out. Solar advocates apparently need to be reminded they are not entitled to use the property of another entity for free. Or do they think all those poles and wires just sprang up out of the ground? You have the wrong concept. Power companies can install solar on homes via contract with owners. They get reduced rates, power companies make money. This works well. It is all about finding solutions as home solar typically does mean 100% power. Suppose you moved to a 400 sq ft apt and used 25% of a 3 bedroom house, are u paying enough? It is about solutions not profits alone. If water resources are in need to be conserved, that is important! Significant Kw savings can be done right now while solar and wind is coming on line. Improving the inefficiency in the cities HVAC’s can bring an immediate 25% energy reduction. Why not pursue this solution also?? Thanks for your comments. We agree that energy efficiency is critical – we want to ensure that all clean energy tools are available to El Pasoans.